Job seekers have to be very careful with how they portray themselves on social media. You may not believe it, but your social media can be the straw that breaks the camel’s back for employers. Online presence, or lack thereof, can make or break your job application. Whether you believe it or not, employers check your social media before making hiring decisions. They use your social media to verify the information on your resume. Employers also use your social media to check for personality and other red flags that might make you a bad fit for their work environment. 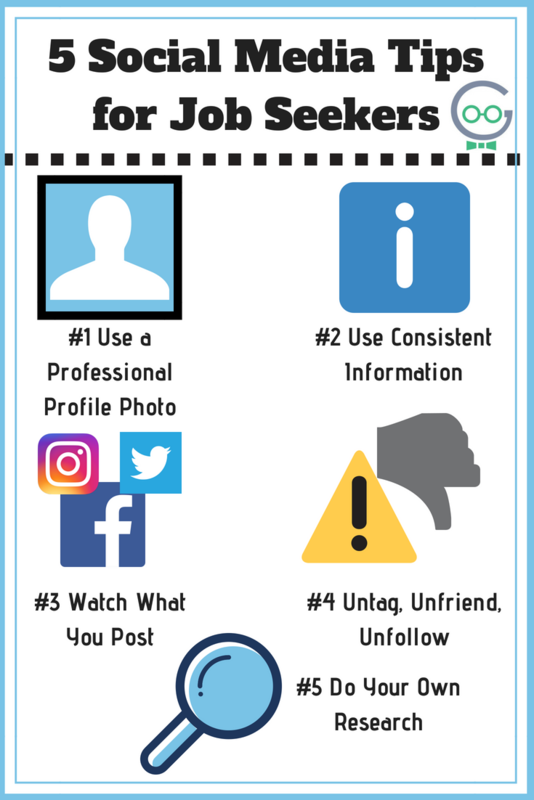 In order to make yourself an appealing applicant, and to avoid putting up any red flags, use these 5 social media tips for getting hired. Your profile photo is your first impression on a potential employer. An unprofessional profile photo can reflect poorly on you and your application. It is important to update the profile photo on all of your social media platforms. Employers will check more than just your Facebook or LinkedIn. Don’t forget to update your Twitter, Snapchat, Instagram, and other profiles as well. Avoid photos with compromising or suggestive content such as red solo cups, drugs, or suggestive hand gestures. Also, avoid photos that are outdated or contain more than one person in them. Treat your profile photo like an old-fashioned Hollywood Head Shot. Choose a photo that clearly shows your face. Consider having a friend take a professional photo of you with a neutral background like trees or a blank wall. More than simply updating your photo on all of your social media profiles, you should ensure that your other information is consistent. Use consistent information about yourself, your skills, and your work history on all of your social media profiles and on your resume. For example, if your resume claims to have worked at a location for two years, make sure that your LinkedIn and Facebook work history are consistent. Additionally, make sure your contact information matches on your profiles and resume. After updating your profile with accurate information and adding a professional profile photo, the only thing left is the content you post. It’s easy to forget to monitor what you post, but this is the information that will allow the interviewer to learn more about you. Avoid inflammatory posts about politics. Most advice will say to avoid ALL posts about politics, but political posts can show that you are active in your community or paying attention to the world around you. Keep in mind, your political affiliations may result in losing out on a job or two. But, you should avoid working at jobs that conflict with your personal values. Consider following and sharing posts that show your interests and expertise in your field. This is especially important on profiles such as Twitter and LinkedIn where there are an abundance of professionals to follow. Bonus: Fact check posts to avoid being caught in the Fake News cycle. Social media means that we are “ON” all the time. Every action we take online can be interpreted as a social slight. Unfriending someone or untagging yourself from a post or photo can be social suicide. When it comes to job seeking, you need to consider what your friends are saying about you. Your social media followers and friends might as well be informal references on your job application. These people know you very well. You spend time with them, and their opinions of you can provide insights to an interviewer. Ask your friends not to tag you in posts that could be detrimental to your job application. This includes photos from that party last week, or jokes about drugs and alcohol (especially for minors). Remove old photos or posts that could be considered inappropriate. Don’t be afraid to unfriend people who post inflammatory posts on your wall, or post comments that aren’t appropriate. Like showing up to an interview with your drunk buddy, this type of content is a red flag for interviewers. After spending all that time untagging, unfollowing, and unfriending people, reward yourself with these 5 NEW pages to follow on Twitter. After you’ve made your own social media profiles ready, do your own research. See what pages the company follows on social media. See what they post about. Do you share values with this company? What did ex-employees have to say about the work environment? Consider following the company on social media to show your interest. Like recent posts that are interesting to you. Take it a step further by doing your research on your interviewers. Check for things you have in common that could help you stand-out from the crowd. If your interviewer follows a particular page or expert on Twitter, look into that page for talking points. Consider following that page as well to keep up with news in your field. Keep it up! Even if that job didn’t work out, repeat the process for other jobs. Does all of this seem way over your head? Get help with setting up or managing your social media accounts for individuals and businesses. Techno Goober can help with designing cover photos, profile photos, advertisements, and regular posting. 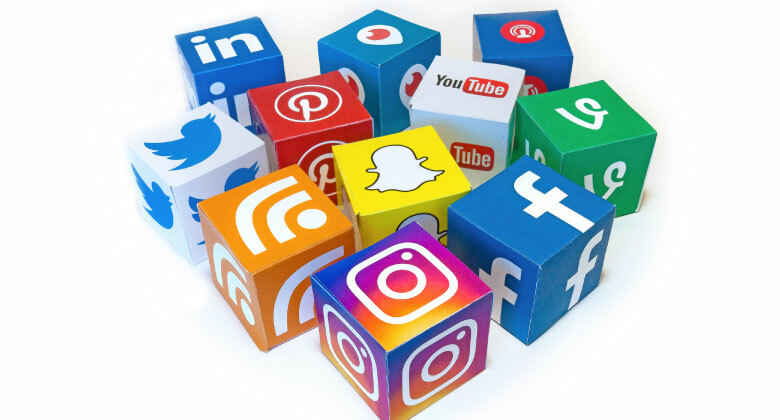 Contact us online or call Techno Goober at 302-645-7177 to discuss how Techno Goober can help you with social media management.